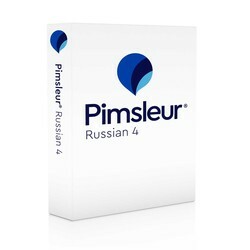 Builds upon skills taught in Pimsleur’s Russian Levels 1, 2, and 3. 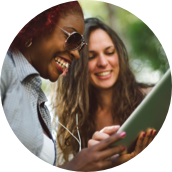 You’ll be speaking and understanding Russian with near-fluency and with considerable skill. In Level 4, the pace and conversation moves more rapidly, making way for even more substantial mastery of vocabulary and structures. - Activities - the course starts with getting downtown from the airport, and includes summer vacation travels and visiting the Black Sea. You’ll learn to ask for recommendations, give advice, and make appointments. Other activities include – yoga, sports discussions, going to a film festival, attending a parade, dressing up, shopping, cooking, exploring the countryside, and overnight train rides. - Culture - you’ll learn about the Russian school system, Russian weddings and gift giving, holidays such as New Year and Christmas, visiting a Russian home and giving housewarming gifts. - Expressions - improve your conversations with native Russian speakers with useful, daily expressions such as, ”Congratulations!,” “Thank God!,” or “Everything will be OK!” You will also learn how to express your physical wellness and inquire the same of others, as well as giving friendly reminders like – “Don't forget …” “Don't worry!” “Get better!” to name a few. - Other topics include: colors, family, renting an apartment, describing rooms, and public transportation. Reading Lessons in the form of a short story are included. These lessons, which total over an hour and a half, are designed to give you practice reading Russian, to provide vocabulary, and improve pronunciation. Before you know it, you’ll be reading Russian with the ease and flexibility of a native speaker. The Readings start on CD 14 after Lesson 28.